When I was a kid, and even as an adult, the phrase “some assembly required” turned the excitement of ripping the wrapping paper off a gift into an unappreciated lesson in delayed gratification. If you’re giving an iPad(s aapl), an iPod touch or an iPhone as a gift this year, a bit of prep work in advance can make sure your giftee avoids a similar experience. Here’s an ordered checklist to make sure the “out-of-the-box” experience is the best it can be. Note that many of these steps require that you share a home with the person you’ve bought the iOS device for, and some require a high degree of trust and familiarity. iTunes is the gatekeeper for all the iOS devices. Without the latest version, not all device features may work. Whether you’re on a Mac or a PC, use the Apple Software Update to make sure you have the latest version of all Apple-related software. This might require additional updates and restarts. You may need the password of an administrator on the computer and have the ability to install software. If you have multiple computers in your home, it’s best to update them all to the same version to take advantage of Home Sharing and other features. Once a wireless network is set up, you usually never need to enter the password again. Not everyone knows the name of their wireless network (referred to as SSID or network identifier) or the wireless password. For Mac users, go to the Airport icon in the Menu bar and note the name of the network checked — that’s your network name. If you don’t know your password, go to Keychain Access in the Utilities folder. Search for that network name and click “Show Password.” Now you have the network name and password in order to later join your iOS device to your home network. Sorry, no equally magic way of figuring this out. If you can’t find your network password, you may have to reset your modem or wireless router to factory settings and start fresh. Your Apple ID is what you use to purchase content on iTunes. If the git recipient already has an Apple ID, knowing that ID and password will go a long way towards getting them set up. 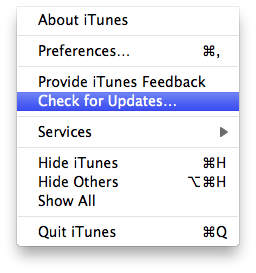 The ID should appear in the upper right hand corner of the iTunes screen when you click on the iTunes Store. Many families share an ID, so you should be fine if you already know it. If the recipient doesn’t already have an Apple ID and you don’t want to share yours with them, you need to come up with an excuse to create one for them. Apple will send them confirmation, so if you set one up a new one in advance, they may be tipped off that they’re getting something from Apple. More than one surprise has been ruined this way. You can tell them you’re gifting them an album from the iTunes store as a way of hiding the real present. This is another one that will require a high level of trust between gifter and giftee. To setup email on the device, obtaining this password in advance will solve some hassles. If you have the info and your gift recipient stores a lot of their info on the cloud, you can even get the device ready to go with contacts, calendars and more right upon opening. If the device you’re purchasing is for someone who doesn’t use a computer that much to begin with, like maybe grandpa or grandma for instance, you might want to set them up with a brand new email and build out the contacts list yourself to make things extra easy for them. iPhones are difficult to set up in advance, so at this point, you’ve done about all you can do. Activating the phone in advance could cause problems for the recipient. Continue reading on, though so you have an exact game plan after the box is opened. However, for the iPod touch and the iPad, you’ll want to begin the activation and registration process before wrapping. You’ll need the recipient’s Apple ID, which I mentioned in step 3. Activation servers may be slow Christmas morning, so this is a great thing to do ahead of time. Many computer owners have impressive photo collections they want to carry with them on their iDevices. iTunes needs to optimize these photos for the device and that can take over an hour for a large collection. One of the first things I notice new iOS owners do is figure out their wallpaper and they need their photo collection to do it. Earn a few bonus points by custom configuring the wallpaper and lock screen in advance. 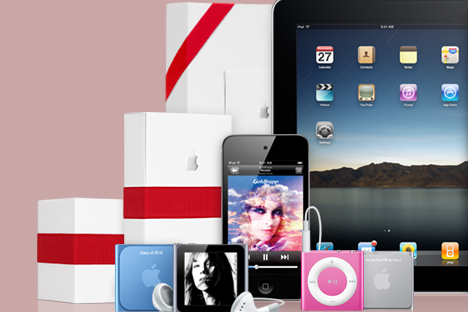 You can also stock the device with some music and movies you know your gift recipient will like. Most likely, your device will need an update. Check by plugging it in to iTunes and clicking the “Check for Update” button if you aren’t notified immediately In particular the iPad 4.2 update is a major enhancement that brings it to parity with the iPhone OS. This update can take up to 45 minutes, so again this is a great candidate for setup in advance. The update shouldn’t be interrupted and the device will be offline during this time. Now that you’ve got everything synced up, updated, and optimized, now’s the time to add it to your wireless network. Sure, this is an easy step, so long as you followed my advice above and found out your network name and password in advance. For the iPad 3G, I recommend against setting up a data plan at this point since you’ll be paying for time spent in the box. If you’re wrapping it up Christmas Eve, though, then paying for one month of service might be a nice additional touch. If the recipient uses an application-based email program (Apple Mail, Outlook(s msft), Entourage, etc) and you chose to keep email sync enabled, iTunes should have copied those settings over without a problem. However, if the recipient is using web-based email such as Gmail, AOL or Yahoo, you’ll need to configure that on the device manually. Go to Settings, then to Mail, Contacts, Calendars, and then add the account using the password you obtained in advance. Let’s face it, it’s all about the apps. If they already have another iOS device, you can sync their existing library. If moving from an iPod touch or an iPhone to an iPad, you might consider buying a few iPad-specific version of their favorites. If you’re completely new to the iPad, check out some of our guides and roundups for some great software. Remember that if you buy paid or even free apps with an Apple ID, Apple emails a confirmation, so make sure the recipient doesn’t see those confirmations lest your surprise is ruined. Now you are ready to power down the device, put it back in the box, and wrap it for placement under the tree. Don’t make the mistake of throwing the little bits of overwrap and apple stickers in the trash — I know of more than one surprise ruined that way. You might not be able to follow all these steps, but the more you can, the better. Opening a device that requires hours of setup until it can be properly used is a lot less exciting than opening one that powers on ready to go. Good suggestions, but I know of no iDevice that requires “hours of setup.” The point that the iTunes registration servers might be busy on Christmas morning is certainly valid, though. 1. Unless it’s essential, turn off MobileMe Mail retrieval in Apple Mail in case Apple sends any emails verifying something. They also send congratulatory intro emails to the purchaser when buying an iPad but that will just go to whoever bought it. 2. If they don’t already have a working iTunes account with their credit card info in there, you’ll need to get your hands on that as well, even for downloading free apps. That’s a tricky one to set up. 3. If you can help it, don’t buy any paid apps. The charge will appear on their credit card statement (and Apple sends a receipt via email, but you followed #1, right?) and if they check that before they get the iPad, the jig will be up. Stick with just the free apps for now; you can always gift paid apps later. And keep the plastic wrap on the iPad just to keep the experience as close to new as possible. You can peel back just enough on the bottom to expose the pin connector while you sync and set everything up. I’ve gifted iPods before and never thought of that, to gifted them synced. People I gift them to always come back to sync with my iTunes library anyways, they like it that I have much to choose from.